You have probably heard of the Dickin Medal, but in case you haven’t, it is known as the ‘Victoria Cross for Animals’, and was established to honour the gallantry and devotion of animals who show outstanding endurance or bravery in the line of duty. The medal, instituted in 1943, has since been awarded to animals of all different shapes, sizes and skill sets. Some of the most famous heroes to win it have included Duke of Normandy, the first pigeon to arrive with message from Paratroops of 21st Army Group on D Day, Simon the ‘Able Seacat’, who not only cheered the crew of HMS Amethyst after they were trapped in 1949 on the Yangtze River but provided a valuable service by ridding the ship of a dangerous rat infestation, and Pointer Judy, the only animal to be officially recognised as a Prisoner of War, who saved men from a sinking ship and helped to keep up morale in a Japanese POW camp. So, what makes Beauty special? 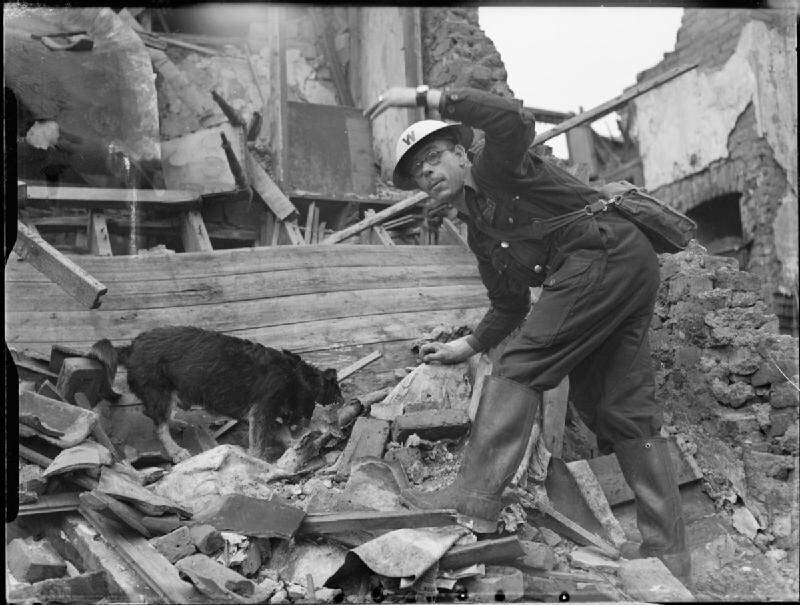 Well, the pretty Wirehaired Terrier, though she never went overseas, proved herself a heroine during the Battle of Britain by rescuing many, many fellow animals from the rubble in the aftermath of the Blitz. She is widely credited with being the first ever ‘search and rescue’ dog, having originally been brought to bomb sites by her owner, People’s Dispensary for Sick Animals (PDSA) Animal Rescue Squad Superintendent Bill Barnet, simply as company. One day in 1940 Beauty herself began to dig through the rubble, eventually revealing a trapped cat. This was just the first of 63 animals she went on to save, despite never being trained for this role. It was Beauty’s actions that convinced authorities that there might be some merit in the idea of animal search and rescue teams. Today, dogs are used to track and trail fugitives or missing people, to discover trapped, lost or deceased victims, and to sniff out bombs, drugs and fruits, and there are special Military Working Dog units. Thanks to Beauty, many more lives have been saved over the years. 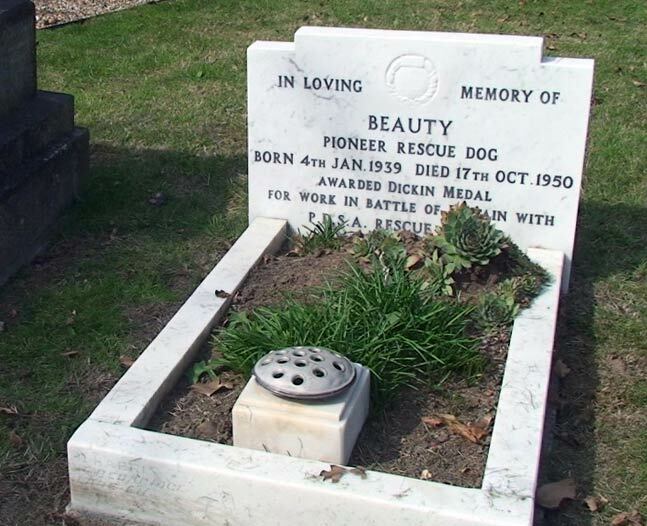 Beauty herself was granted several honours in recognition of her work before she passed away in 1950. She received the PDSA Pioneer Medal, usually reserved for humans, a special collar ‘For Services Rendered’ from the Deputy Mayor of Hendon and the freedom of Holland Park, and finally the Dickin Medal itself in 1945. 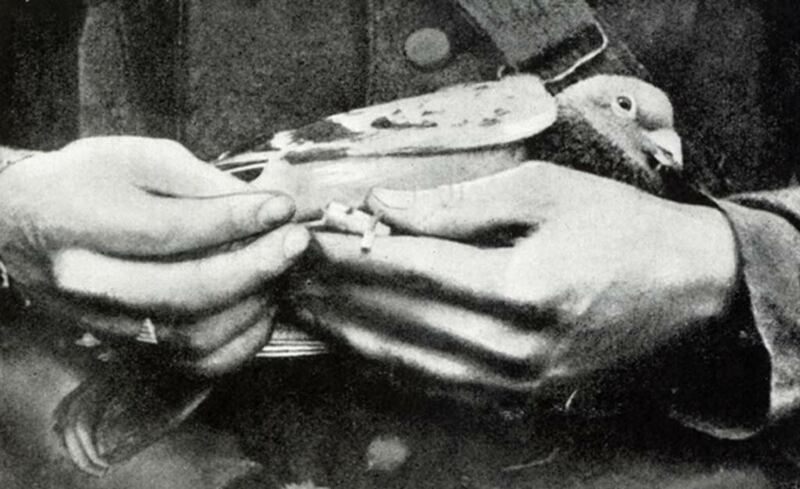 To read more about animal heroes, visit our Dickin Medal page, which lists the deeds of 63 assorted winners of this prestigious award for bravery.